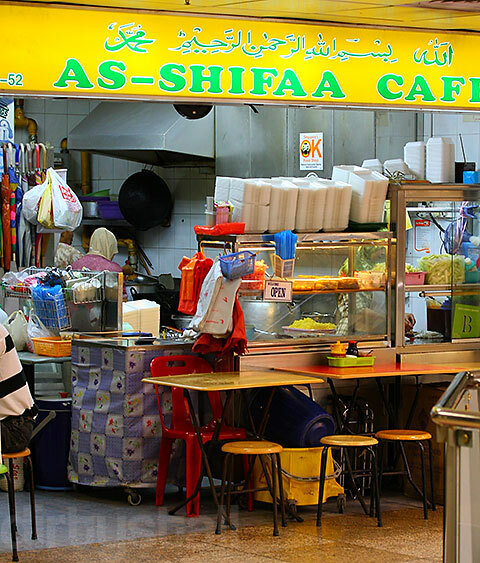 Whenever I need a cheap and yummy fix in Orchard Road, this little Malay cafe located at the top of Lucky Plaza is one of the places that comes to my mind first. The only downside is that I have to plan and reach early because it’s so popular that the limited number of seats are snapped up fast and the office lunch crowd quickly forms a long queue as well. 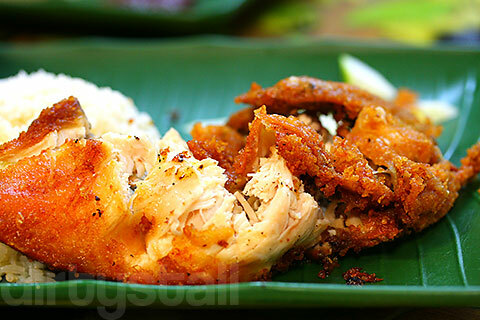 Their most popular dish is of course the Malay-style chicken rice, which is fried rather than steaming it like the Chinese do. The golden-brown skin is deliciously crispy with a hint of caramelization. Cracking that hard skin releases a puff of steam and reveals the tender white flesh inside, ready for you to gobble down. 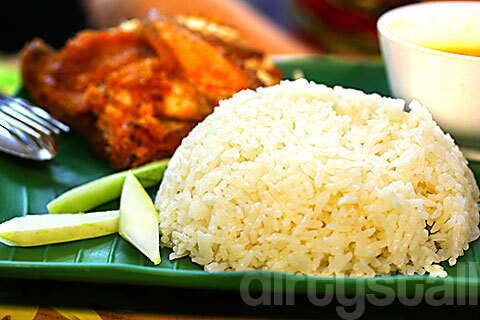 The rice itself is also aromatic and hearty on its own, but once again subtly different from the Hainanese chicken rice flavours that we’re used to. 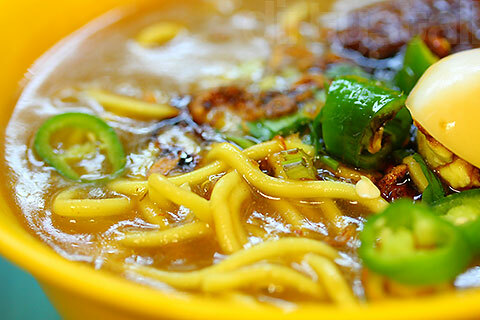 The dish also comes with a small bowl of peppery mee soto soup. Of course besides chicken rice, they serve other Malay fare but I’ve never bother to ask because I wasn’t really interested in eating them. My friend did order their mee rebus so you can take a look at it here. Supposedly rather spicy! 4 Responses to "As Shifaa Café"
Hehe where are you at now?